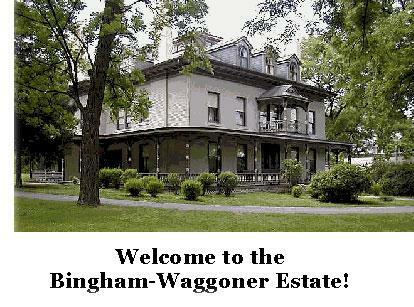 The Bingham-Waggoner Estate is truly a one-of-a-kind gem located near the historic downtown of Independence, Missouri. Although the Truman Presidential Library and Harry and Bess Truman's home are popular sites, the Bingham-Waggoner Estate offers its own special look into an earlier era. This well preserved estate provides insights into the lifestyles of the 19th century wealthy residents. The Estate is available for tours and for private events and rentals in addition to a variety of regularly scheduled public events. Tell 'em you saw it on OldHouses.com! All information deemed reliable but not guaranteed and should be independently verified. All properties are subject to prior sale, change or withdrawal. OldHouses.com is not responsible for any typographical errors, misinformation, misprints and shall be held totally harmless. You can't buy it, but you can visit. ©2019 Copley Internet Systems, Inc.